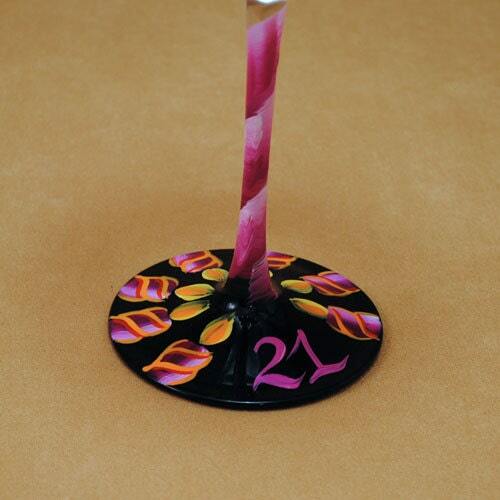 The number 21 wearing a purple crown over its head, this glass has an elaborately painted candle design in the back. Your 21st Birthday girl will love it. Available in the colors of your choice, just let us know what yours should look like. Love, love, love, this product! It shipped promptly and when it arrived it was more than I could have asked for. It was personalized beautifully and it was a perfect 21st birthday gift! 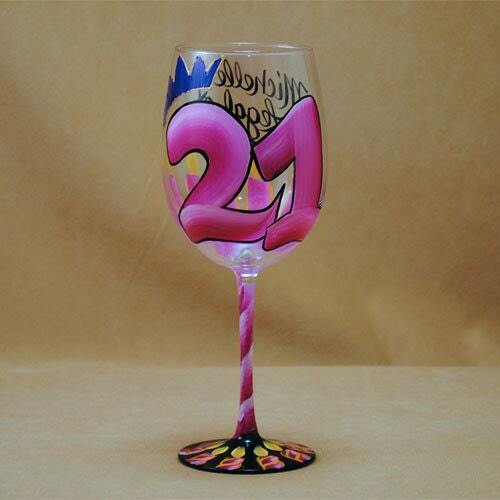 Seeing as this glass is called a PERSONALIZED birthday glass, you'd think it would be personalized. 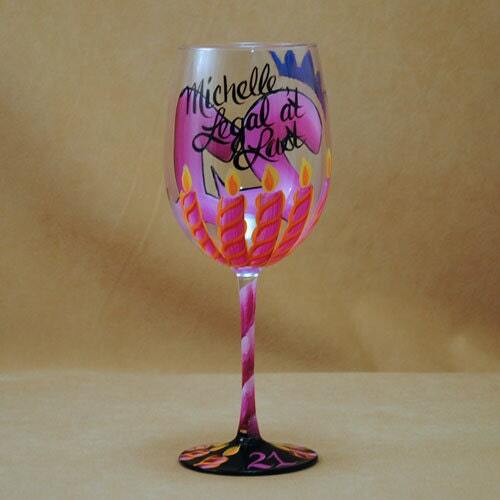 I was shocked to find out that the glass I had ordered did not have my friend's name on it, nor did the shop owner even contact me to find out whether there was anything special I wanted on the glass seeing as these are customized. Not only that, but she promised a free shot glass to go along with the glass and this was not included. Very disappointed and I will not be recommending this shop to my friends. Shipped super fast, such a friendly shop owner, and painted beautifully! Thanks so much!